Soba is a type of thin Japanese noodle made from a combination of buckwheat and other type of flours (e.g. wheat flour). The buckwheat gives the noodles a slightly nutty taste. In Japan, it is served either chilled with a dipping sauce, or in hot broth as a noodle soup. Soba noodles only have about half the calories and carbohydrates as compared to typical white flour pasta. Soba contains all eight essential amino acids, including lysine, which is lacking in wheat flour. It is also a good source of nutrients like manganese, lean protein, carbohydrates and thiamine. Since buckwheat does not contain gluten, buckwheat noodles are a good choice for people following a gluten-free diet. Commonly Asked Question: Why is my soba dough so crumbly and doesn’t come together? The crumbly texture is quite common when working with an all buckwheat dough since it is gluten-free. That is one of the reasons why many homemade soba noodle recipes uses a combination of wheat flour to make the dough easier to work with. It needs a binder, and using wheat flour for example helps it stay together a bit better. In traditional wheat breads, the binder is gluten, which is formed as the dough is being worked – it is that formation which makes the mixture a dough, rather than a wet paste or grit. A dough made from just buckwheat flour and water will crumble easily. The binder produced this way is very weak and the noodles becomes very fragile, dries out and prone to coming apart easily. Making authentic soba noodles is an art form requiring years of experience to perfect. Buckwheat flour is a healthy wheat flour alternative and is one of the most versatile flours. It is gluten-free which makes it a good choice for anyone with gluten sensitivities or celiac disease. Buckwheat flour is packed with nutrients, readily available, easy to work with and has a nice nutty flavor. It is high in fiber, protein, niacin, amino acids and vitamin D. It is also rich in potassium, phosphorus, iron and calcium. The protein in buckwheat is said to be one of the best sources of protein available from plants and it contains all of the essential amino acids. In Japan, buckwheat flour is used to make soba noodles. In Russia they are known as blinis. In France, buckwheat is used to make galettes. In the Ukraine, hrechanyky are a type of yeast rolls made from buckwheat. If you do not have any wheat or gluten sensitivities, you can blend buckwheat flour with wheat flour to boost both nutrition and flavor. If using buckwheat for bread, no more than half of the total flour should come from buckwheat. Have you tried soba noodles before? Soba is the Japanese name for buckwheat. It’s a type of thin noodle made from buckwheat flour. Here’s a wonderful soba recipe filled with loads of healthy ingredients! This dish’s inspiration comes from Japan. Soba noodles are an important staple of the Japanese cuisine. There is a dish in the Japanese cuisine with cold soba noodles, but for this post, I turned it more in a type of warm salad. I actually got the idea to make a salad with these soba noodles from Allison from the beautiful blog “Spontaneaous Tomato” (she takes amazing pictures!). She made an amazing and so yummy looking Vietnamese style soba noodle salad, which really inspired me, but I tried to stick to Japanese in this dish and I mixed in all kinds of different flavor elements of the Japanese cuisine 😉 I hope you will like this very “fusionized” recipe, it’s very fast and easy to cook up, therefore perfect for a week-day dinner. Thanks for stopping by and following my blog, i really appreciate the support. I started this blog 5 months ago didn’t imagine that it would be well received. 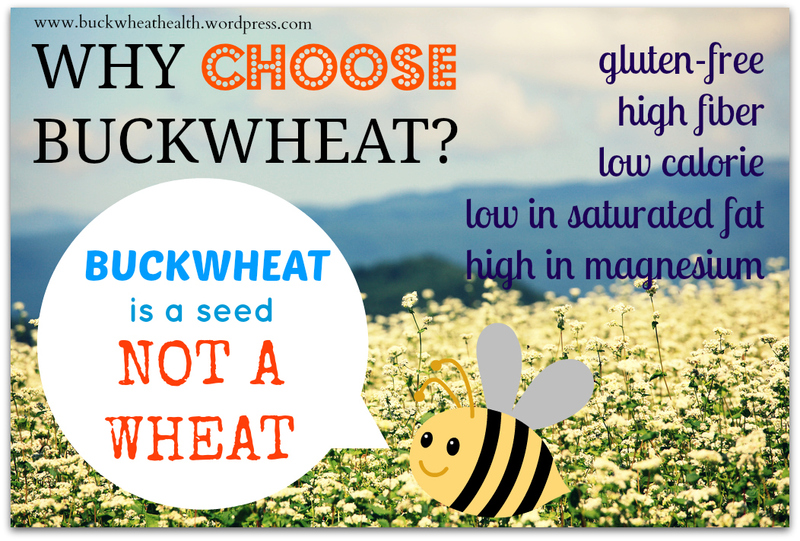 As you can see this focus of this niche blog is about this awesome ingredient – Buckwheat. I’m sure that most of you are awesome cooks and wanted to know if any of you have your best buckwheat recipe you would love share with others. It can be a recipe that you have tried from a cookbook or created on your own. It could be a main dish, side dish or dessert. I would love to post it here. Your recipe has to have buckwheat as one of the main ingredients. HOW TO SHARE YOUR RECIPE? The picture(s) must be your own. If the recipe is from a cookbook, you also need to include a link to the book. I just need the link to your buckwheat recipe(s) page. You can post your link in the comments below or through my contact form here. If your recipe is picked, I will choose 1 picture of the finished recipe and a link back to your blog/website. You can also share a brief write-up about your recipe (e.g. story, inspiration, tips). There is no limit to the number of buckwheat recipes you can share, the more the merrier! The chosen recipes may not be posted immediately as I would like to spread it out overtime. Soba Boro is a traditional Japanese cookie that is made with buckwheat flour. It is a traditional Japanese confection. The texture is said to be similar to biscotti. I have not tried it myself as i have not been to Japan. But there is a recipe shared by www.cookiecompanion.com for this. The above images show one with with ginger and gomasio and the other plain. Gomashio is made from sesame seeds and salt . It is often used in Japanese cuisine, sometimes sprinkled over plain rice or onigiri. The common misconception about Buckwheat is that it is though off as a wheat because of its name. Buckwheat is not a wheat, neither is it a grain although it is enjoyed in a similar fashion like a true grain. Buckwheat is actually a fruit seed. Because it is not a wheat, it does not contain gluten. Buckwheat is an excellent source of fiber, magnesium, copper, manganese and comes with many added health benefits. It may also help people with diabetes. What’s more its gluten free. Here are 14 recipes that shows how you can use buckwheat in your cooking including pancakes, crepes, noodles and porridge!